TeraStation WSH5610 is a robust and reliable Network Attached Storage solution integrated with Windows Storage Server 2016 (pre-tested NAS-grade hard drives included). This specialized operating system helps with simple deployment and management of your growing storage demands to integrate seamlessly with your existing Windows-based environments. 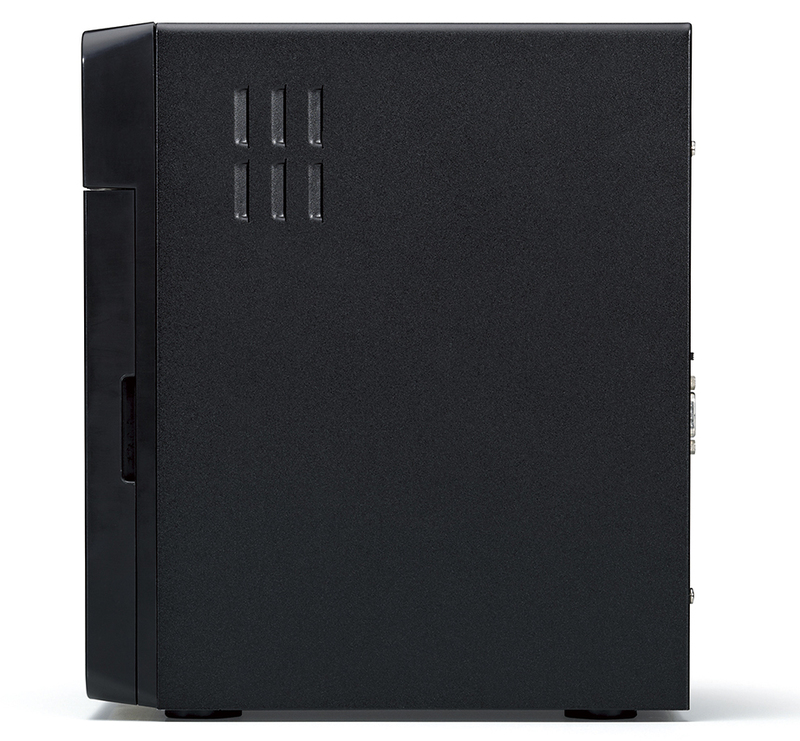 WSH5610 comes with an independent RAID CPU, making it possible to protect your data with the more secure RAID 6 mode while keeping your data transactions fast and stable. 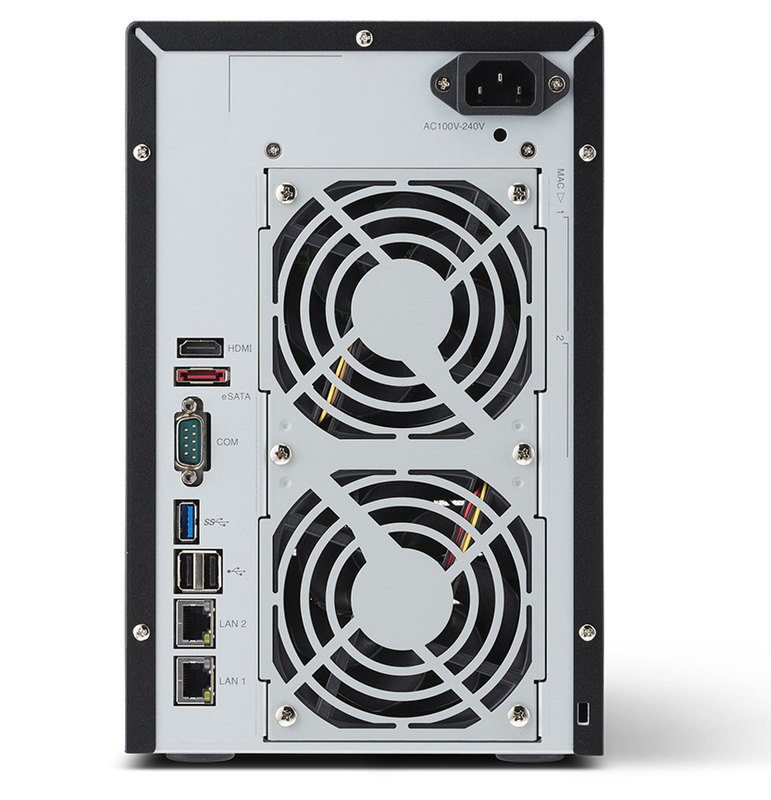 This device is the ideal solution for consolidating multiple file servers into a single solution that enables cost reduction while lowering the overhead on your existing servers for other workloads. Since WSH5610DNS6 has dedicated a hardware RAID CPU; the system CPU has less workload for RAID-building and maintenance, thus securing a more stable performance on the device, and leaves more power for the main CPU to run apps and share files. RAID redundancy is highly recommended for your business data protection, and Windows Storage Server OS provides RAID 5. 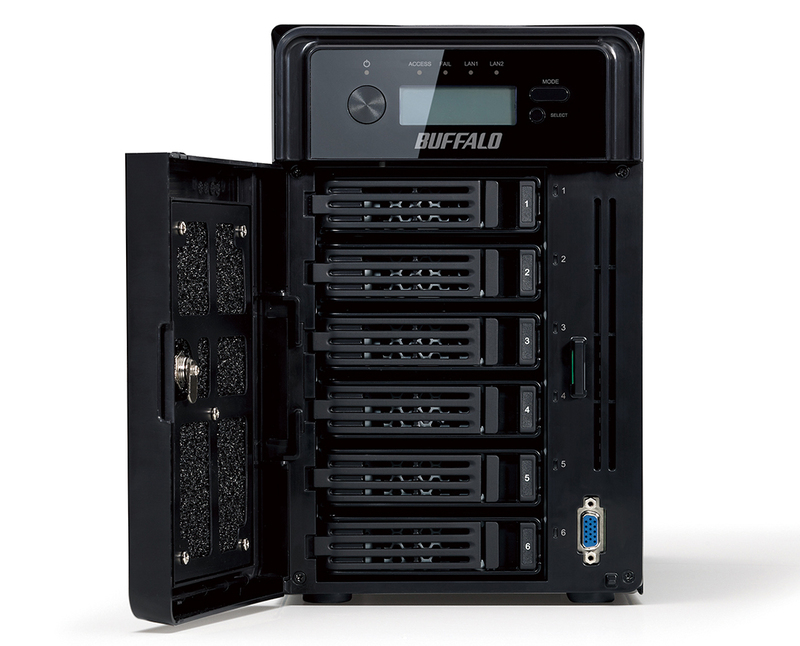 With Buffalo’s original hardware RAID CPU, your data on the WSH5610 can be secured using RAID 6, which is more redundant than the default options. Since the cache is secured exclusively, it is possible to minimize the risk of data corruption even if the OS freezes. 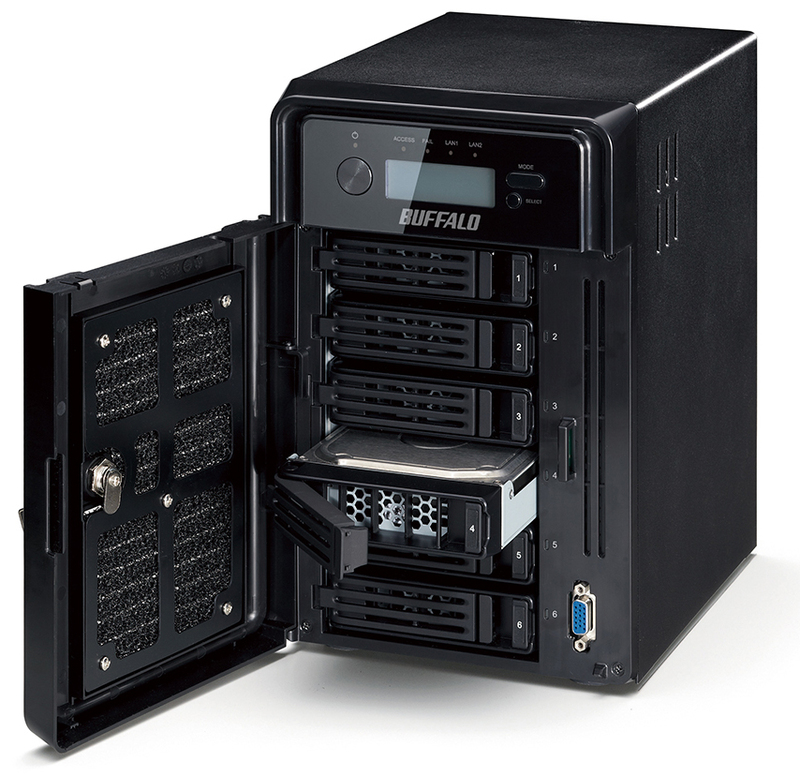 Buffalo Terastation WSH5610DNS6 is built in Japan and passes severe burn-in testing with NAS-grade hard drives included, thus ensuring compatibility and reliability. This device comes with free 3-year warranty and 24/7 North America-based support. If problems arise, just one call to your premium phone support desk and we will work to resolve your issue. The NAS hardware is built with business class components to provide stable 24/7 operations, including Intel Quad core CPU with 8GB memory to stabilize the performance. Since Windows Storage Server OS is mounted on and operates from the SSD, device bootup is 63% faster. Typical Windows Storage Server NAS has the OS data on HDDs with the partition, which will reduce the usable data area. WSH561DNS6 has separate SSD just for OS data storage. You can use all the HDD capacity for your business data storage and incur no hassle if you need to change the RAID mode later.